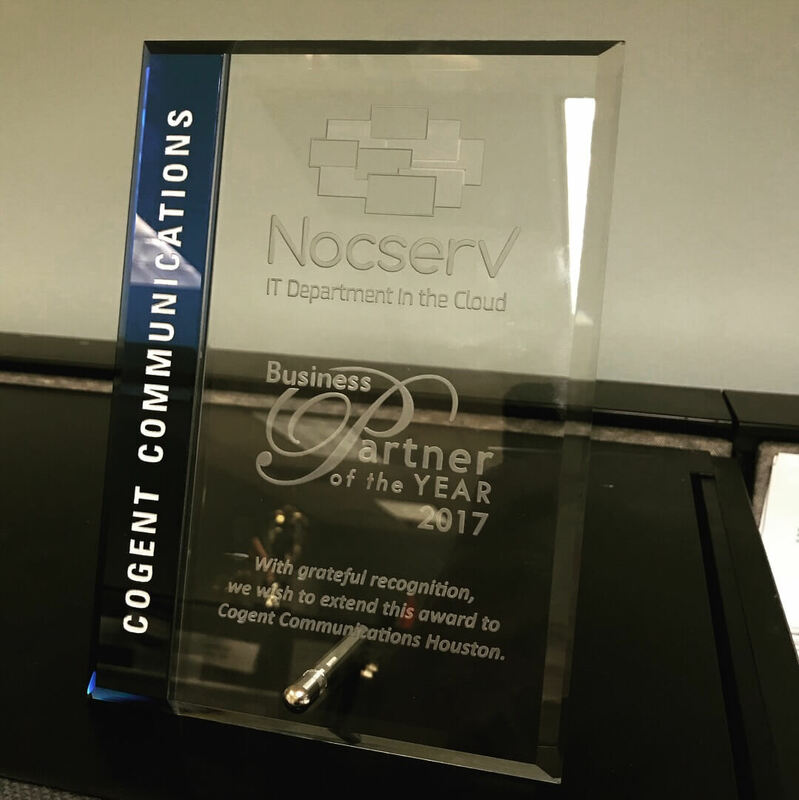 HOUSTON – Dec. 21, 2017 — Cogent Communications (http://www.cogentco.com) has been named the 2017 NocserV Business Partner of the Year. 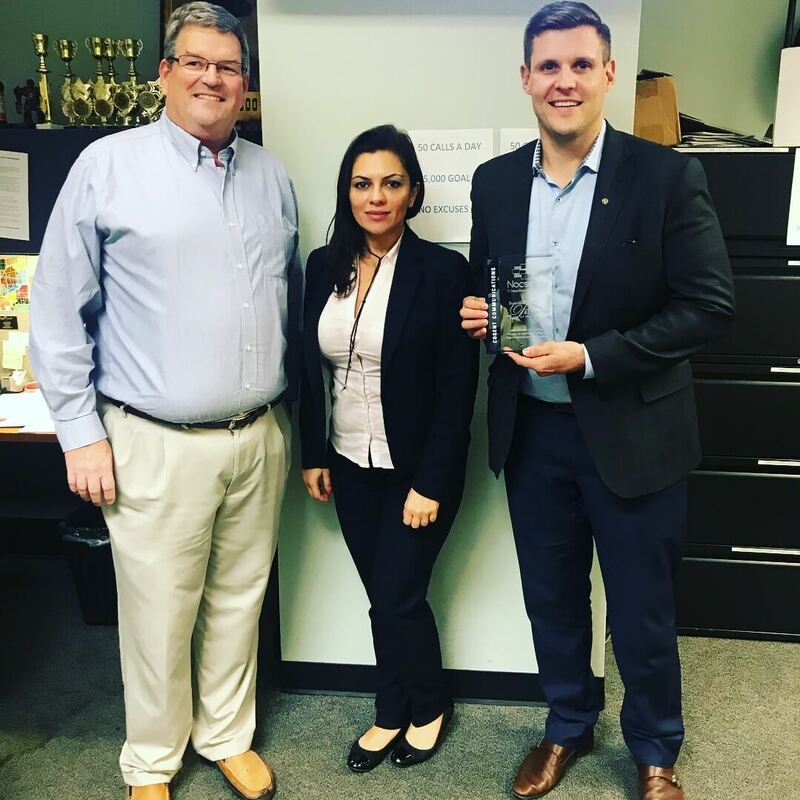 Voted upon by the NocserV staff, Cogent received the award for demonstrating a true partnership with NocserV in providing complete solutions to our mutual business clients. Together, NocserV and Cogent have collaborated on several projects in Austin, Houston, and Dallas. "Cogent has been such a terrific partner to NocserV in 2017. Our shared clients benefit greatly from the reliable internet connectivity and colocation services provided by Cogent, teamed with the IT consulting capabilities of NocserV, " said Brian Gendron, Nocserv President & CEO. "We look forward to growing upon our strong relationship with Cogent in 2018." NocserV and Cogent work together on solutions for business clients that are moving office locations, opening new offices, or simply looking to reduce their operational expenditures by modernizing and standardizing their information technology. ABOUT NOCSERV: NocserV has a portfolio of IT Services and consulting that help small and medium businesses in Texas to streamline operations, collaborate better, provide stronger security, and to eliminate excessive and unnecessary IT spending.